Join Us For Year Round Fun! 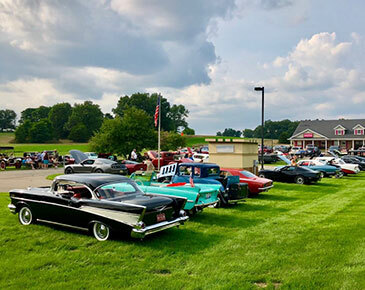 Each summer we host car shows on Saturday nights. It's a great time to see our Cone Amphi (amphibian) car. Yup ~ you can drive on the road or take a cruise in the lake! 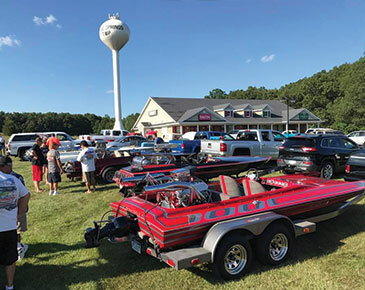 Along with our car shows, we also host various boat show nights each summer where you can display your special boat and enjoy a treat! 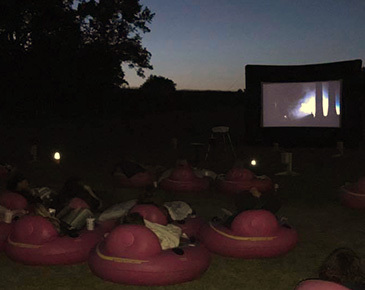 In the summer, enjoy our weekly outdoor movie nights! 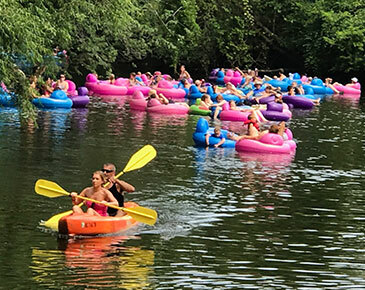 Relax with one of our U-Rent-Em Canoe river tubes, a special Cone treat and watch a movie classic under the stars! 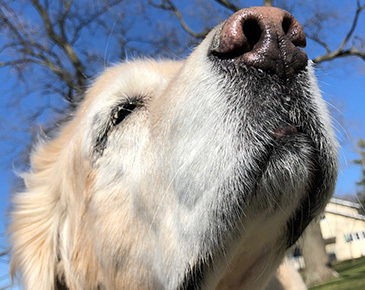 We are proud to sponsor fundraisers and contribute donations to assist in helping our 'furry friends' at our local Humane Society! 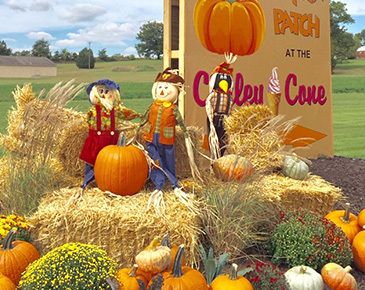 Each Fall, enjoy our special Cone Pumpkin Patch! Starting at $5, you can enjoy a small ice cream cone, small hot caramel cider or a cookie and pick different style and sizes of pumpkins! It might be cold outside but it's warm at the Cone! 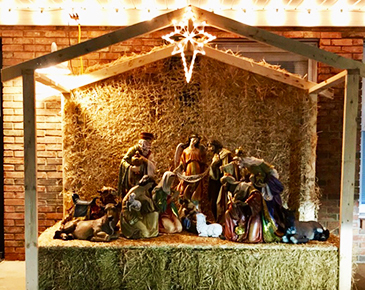 Come in and enjoy our homemade treats, homestyle meals and see our amazing Christmas tree and Nativity scene! We are proud to sponsor fundraisers! 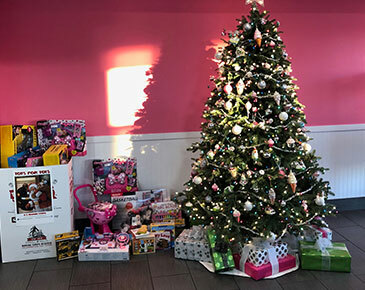 Each year we host a successful Toys for Tots drive! Thank you for all of our customers who donate! 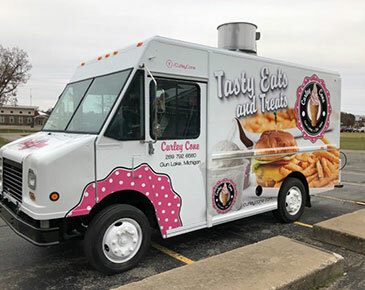 The Curley Cone Food Truck is hitting the streets near you! Also available for private catering, weddings, birthday parties and more! After you enjoy a day on the water with U-Rent-Em-Canoe Livery, visit the Cone and enjoy a sweet treat or a tasty meal!